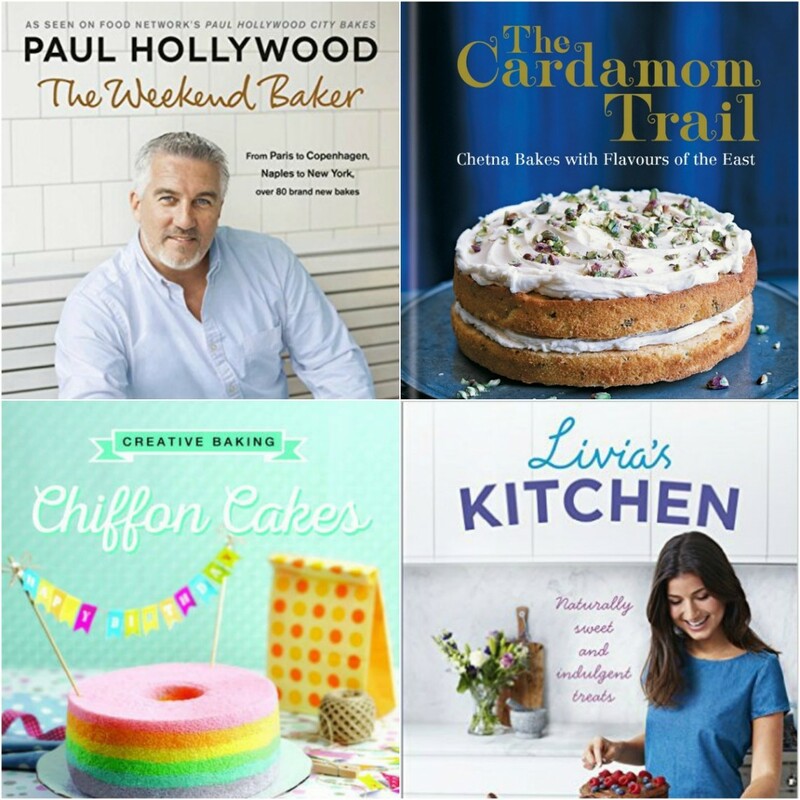 Here’s a preview of new cookbooks due out in May 2016 – naturally with the emphasis on baking – and there are a few stragglers from April worth mentioning too. We have a big variety this month from flouncy fun stuff to vegan ice cream, from TV favourite tie ins to new rising stars. Indulgent treats using naturally sweet ingredients, Livia’s Kitchen features alternative ingredients to standard flours and sweeteners. Typical recipes include raw chocolate and maca molten lava cakes, pistachio and matcha balls, raw lemon “cheesecake” and honey loaf cake. There’s are chapters on ice creams, breakfasts and pies and tarts. If you’re following a low FODMAP diet, as the writer has done, this could be the book for you. Livias Kitchen by Olivia Wollenberg, 5 May 2016. Aah, what a lovely collection. I’ve got a copy of Regula Ysewijn’s Pride and Pudding that I can’t wait to get into, and Chetna Makan’s book also looks great. And I’ve been eyeing up the Sourdough book, what do you think of it? We already have a good starter and Pete makes sourdough regularly. Worth getting? I think you’d be a better judge than me – I am well known as the sourdough serial killer! I’m a terrible bread maker so would naturally go for the sourdough and Paul Hollywood books, I am also a major chiffon cake fan!! They’re so good!! So would love to try more! Didn’t know there was a book dedicated to them, thanks! A fabulous array of books, I think I need the sour dough one as I’ve never made any! Anything from Paul Hollywood is a must for me. Whether bread or Pastry his books are awesome!